One of the most important issues to learn about in our industry is Safety for the Realtor® and their client. NAR’s REALTOR® Safety program reminds you of the dangers you face in the field each day, how to be aware of surroundings and how preparation can minimize risk and keep you safe. 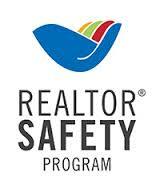 Click here for more info about NAR’s REALTOR® Safety program.